Glencore’s Katanga Mining division has agreed to pay more than $22m to Canada’s biggest stock market regulator amid allegations the company hid risks of doing business in the Democratic Republic of Congo, according to the Wall Street Journal, which cited a person familiar with the matter. The Ontario Securities Commission alleged that Katanga hid risks associated with doing business with an Israeli businessman, Dan Gertler, who has close ties to outgoing Congolese President Joseph Kabila. Gertler first invested in the mining division alongside Glencore about 10 years ago. 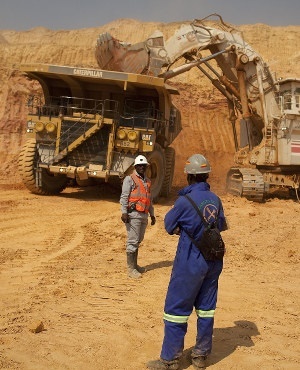 The commission is expected to allege the Congolese president lacked proper internal financial controls, pushing the company to exaggerate its copper production, while at the same time downplaying mining costs. As a result, the moves may have inflated the miner’s performance, according to the Journal, which was the first to report the story. The settlement will probably be announced as early as this week, it said.